They really don't come any more basic than this. With no camera and no features other than calling, texting and a radio, the Nokia 100 is the kind of phone that Nokia made 15 years ago. It's cheap though, incredibly cheap. Tune into your favourite station with built-in FM radio. Choose your favorite from 20 colourful themes. Talk more with the people that matter. 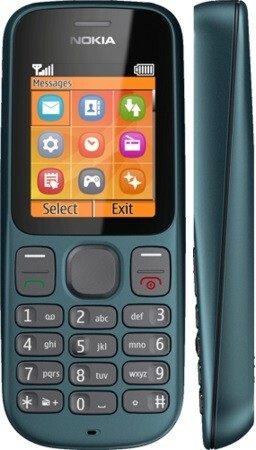 Nokia 100 has up to 7.2 hours of talk time, so you can keep the conversation going without worrying about battery life. Tune in to your favourite morning radio show on your way to work, or find out which songs are topping the charts with FM radio. Get colourful with Nokia 100. There's 20 colourful themes to personalise your phone with, so you're sure to find one to suit your mood.